Home » A Little Romance With Your Ski Holiday? One of the most underrated aspects of a ski holiday is undoubtedly the romance factor! Some people are just so obsessed with deep powder and counting their piste kilometres they forget about the magnificent scenery all around them, the cosy cafés where you can snuggle up and the magical wonder of all that fluffy white stuff. In short, the perfect backdrop for love to blossom, or if you’re lucky enough to already have it, for it to grow. Tiroler Zugspitz Arena in Austria’s picturesque Tirol region is a great choice for romantics. 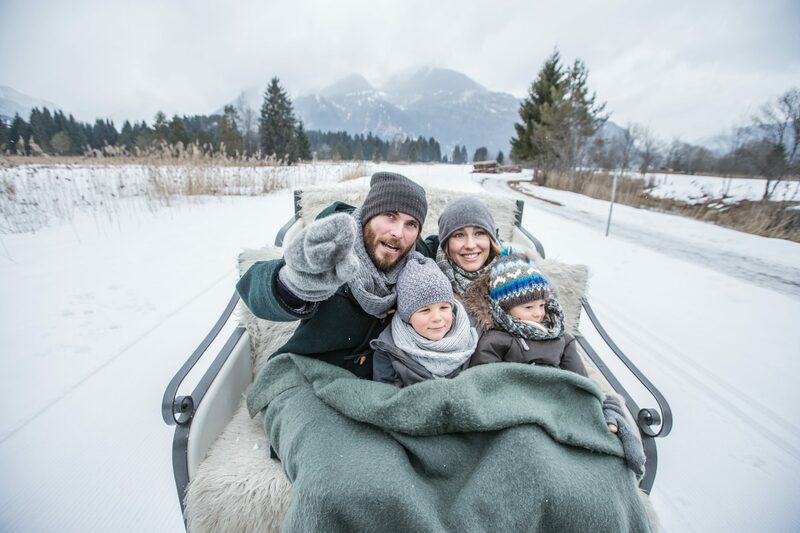 Besides the extensive skiing on wonderful ski slopes surrounded by beautiful mountain scenery you can choose from a long list of low-key activities where you can really enjoy your time together. A hike by torchlight, a spot of ice skating or perhaps an evening with a good meal and traditional Tirolean entertainment in a mountain hut? For the complete package you can even sign up for the special “Romance Tyrolean Style” package at the Romantik Hotel Spielmann which includes a “spoil-yourself” half-board arrangement as well as a sparkling-wine breakfast, a fondue evening, cake in the afternoon, a filled picnic rucksack or a trip in a horse-drawn carriage. Perfect! St.Johann in Tirol in the Kitzbüheler Alpen, close to Kitzbühel itself, is another good choice. The beautiful old town is oozing atmosphere with characterful buildings and enticing cafés, restaurants and shops. Along with a number of spa facilities offering beauty and massage services you can choose winter walks, sleigh rides or enjoy a dog sledding adventure or even ski under the moonlight. One particularly popular option is a romantic evening sleigh ride, journeying across this magical winter landscape, wrapped in warm blankets as you look out at the twinkling lights of buildings and listen to the rhythmic sounds of the horses’ hooves before arriving at the cosy inn and enjoying a tasty meal of traditional Kasspatzln. 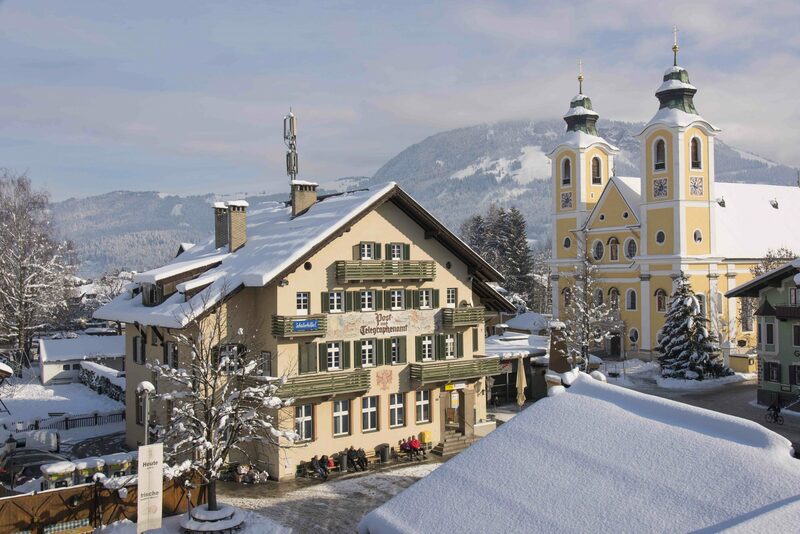 The Ski Juwel region is not only one of the 10 biggest in Tirol but the villages of Alpbachtal and Wildschönau at its heart have won awards for being the most beautiful in Austria. It is again a great choice for a romantic sleigh ride or a peaceful winter hike together through the white wonderland. A great and unique choice for your holiday, there is a charming restored 12th-century castle, Schloss Matzen, in Brixlegg. Chock-full of secret passageways, ancient courtyards and spiral stairs there are a dozen individually decorated guest rooms, each lavishly appointed with antiques, rich bed linens and plush tapestry curtains but also boasting all modern conveniences of course. It’s a very cosy, very different and very romantic place to stay.